Many homeowners clearly understand if their current house is not working for them and/or their families. The home may be too small, too large, in need of major updates or repairs, or unworkable in countless other ways. What is not always clear is what to do about the situation. Is it wise to stay and tackle a remodel, or would it make more sense to move to a new location? If you are debating this issue, it makes sense to analyze both options to determine the best path to pursue. A good place to begin is to create a list of what you want and need in a house. It is OK to dream a little in this stage, but your main goal is to be realistic as to what you need your home to be to support your family goals. Try to be as open-minded as possible at this point. Do you want a multistory home or a rambler? How many bedrooms do you need? What about an open floor plan? What kind of gathering space do you want? In what location do you want your home and why? Curb appeal is reported to be the No. 1 factor in the sale of a home and we also talk to many people whose No. 1 reason for disliking their home is that it’s ugly. A good place to begin this investigation is with a real estate agent. You will need to know the approximate value of your home and what profit you will realize when it sells. An agent can produce figures for recent sales of comparable properties in your neighborhood to guide you in valuing your property. We almost always think our homes are worth more than the market will bear, so this is an important reality check. You can also learn the average selling time of similar properties. Don’t forget to deduct the agent fee from the prospective sale price. The flip side of knowing what you can get out of your existing home is learning what a new home would cost. 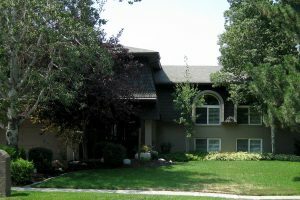 There are several online sites that will let you see homes of the size/type you want or homes in the area you want. Spending some time at open houses and in model homes is also instructive. If the anticipated profit from selling your home is not adequate to buy a new home, you will need to decide how to bridge the gap. If you plan to finance part of the purchase price, then working with a mortgage company is useful. It is important to understand what you can qualify for in terms of a loan and what the costs of securing the loan will be. You also need to deal with items such as title insurance, appraisal fees, escrow, taxes, legal recording fees, loan origination fees and mortgage insurance. Additional costs associated with moving must be considered to complete a full analysis of the moving scenario. This includes the actual physical moving of everything you own, along with any remodeling that may be required in the new home. Sometimes new furniture is required if the home is larger than your existing house; try to think of all the expenses that will be incurred to get you settled in your new home. People generally choose to remodel if they love something about their house or about its location. As real estate agents say, the three most important assets of a property are location, location and location. The benefits of your home’s location can include a reasonable commute to work, a great school or school district, proximity to shopping and parks, pleasing views, agreeable neighbors, a church you enjoy, easy access to features such as the canyons/skiing, etc. If you love where you are, even the fanciest new house in another neighborhood may have trouble competing for your affection. Similarly, your house itself may have features that would be difficult to replicate in another location. We have had more than one client who wants to stay in a home built by a grandparent for sentimental reasons. Obviously, these homes need some attention to function well for our 21st-century lifestyle, but they have a lot of life left in them. Once you have determined what your goals are for your home, it will be possible to work with a good architect to see if you can alter or expand your house to meet them within an acceptable budget range. If you are involved the move-versus-remodel debate, take a good look at your location, your budget and what options are available in the market to determine what will be right for your family. There is a lot to learn and to consider, so make sure to consult professionals to assemble the facts needed to make an informed decision. Architects, real estate agents and loan professionals will each give you pieces that will help solve the puzzle of whether to move or to remodel.